Galaxy Print Pack Systems - Retailer of continuous pouch sealing machine, batch coding machine & hot foil batch coding machine in Mumbai, Maharashtra. Position) or vertically (in standing position) depending on model chosen. Ideal for all types of light to medium weight packet (up to 1-2 kg in wt). 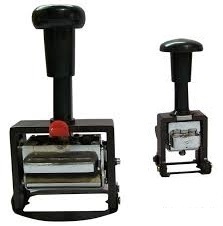 Hand stamping machine which is hand operated device used for printing Batch no, MRP, Manufacturing date, Best before and other information on boxes, labels, pouches, cartoons etc. It has printing area of 35mm by 60mm(SS body), 30mm by 50mm(casting body), It comes with a stereo set , 100ml ink and 100ml solvent. SIZES: from 8” up to 30”. Ease to use, no maintenance. Timer buzzer for different thickness sealing. 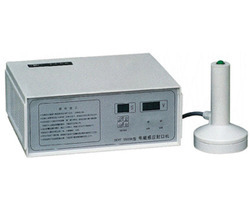 Heavy duty body transformer for long life. 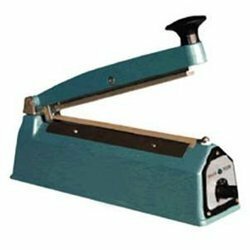 Pedal Sealing Machine closes any type of Heat-Sealable Bag including thick HDPE, Plastic, Polythene, PP, Laminated Paper, even Aluminum Foil, Rexene BOPP. It is ideal for chemicals, liquids, free flowing material, and larger bags. Keeps hands free avoids spill over during sealing process. Auto heat cut-off feature saves electricity protects operator from electric shock. Adjustable Electronic Timer with seal completion Buzzer Light Indicator. Only 2 seconds per seal. Heavy - Duty Aluminum Body sturdy design. 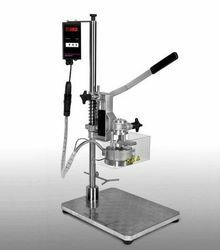 This machine is for sealing jars, cans, bottles with aluminum foil cover or PP / Plastic Cap. It is a heavy duty industrial model gives the same application as an automatic container sealing machine. Thermostat control for temperature setting auto power cut off-once desired temperature is reached. 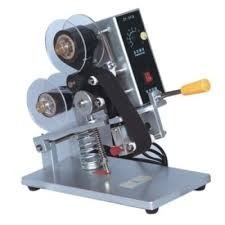 This machine is for sealing glass, jar, can, bottles with aluminum foil cover or PP / Plastic Cap. It is a heavy duty industrial model gives the same application as an automatic container sealing machine. Continuous batch coding machine can be mounted on horizontal or vertical FFS machine for automatic coding. 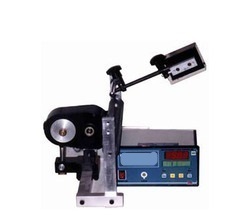 It gives High speed registered printing with speed of the FFS machine. This is suitable for online printing of Batch No., Mfg Date, and Exp Date, MRP etc. on any FFS pouch packing /Tea or coffee packing/Masala Packing /Shampoo packing/Namkin Packing. 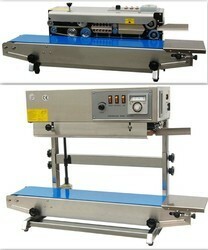 This is a compact, portable machine, ideal for small users, who need vacuum packing for their products. Auto coder for online printing on corrugated cartoons, paper bags etc. which moves on continuous conveyor. 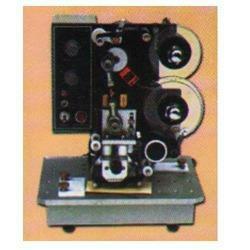 It does automatic registered printing of information on moving cartoons. It is equipped with a tension spring that returns the marker to its zero position after every stroke for re inking the characters. 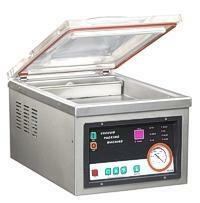 Vacuum Packing Machines that revolutionize the way you store food. By storing food in a vacuum (which means without air), the shelf life for refrigerated, frozen and pantry foods is greatly increased. Air can cause food to become stale, fermented, dried out or develop freezer burn. Vacuum packing keeps your food fresher longer. 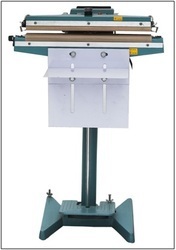 The advantages of this machine are that there is NO SURFACE HEAT transfer for sealing the caps. 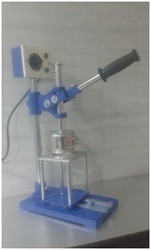 Ideal for lab use and for simple and fast sealing. Economic priced, easy to use and maintain.